This sign has probably done more traveling than most of us have, and we're jealous. After six years, a New Jersey real estate firm sign that was lost in Hurricane Sandy was found across the Atlantic Ocean. Diane Turton, Realtors, posted a photo on Facebook recently that was taken on a beach in Bordeaux, France, which was found by a man named Hannes Frank. According to the firm, the storm carried away the sign from a waterfront home in Brielle in the fall of 2012. Perry Beneduce, the firm's marketing director, said he examined the metadata on the phones emailed to the company by Frank and confirmed that they were taken in France. 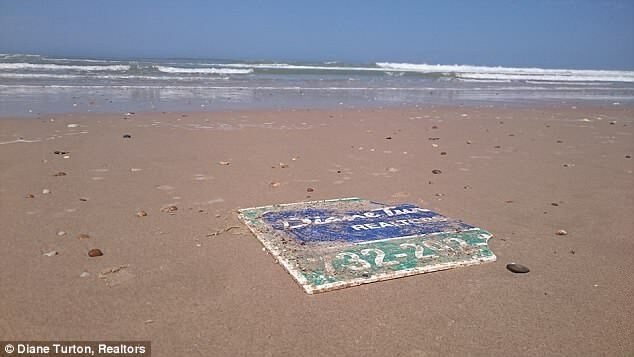 The Facebook post was captioned "Having out signage wash up in France on the beach truly proves that Diane Turton, Realtors is a global real estate company." Beneduce said it was easy to know where the sign was from because the company changed its sign after Hurricane Sandy. So if you're someone on the east coast who's planning to go to the beach this summer, be on the lookout. Maybe you'll find some croissants on the shore.